Car accidents are a frequent occurrence on California roads and throughout the United States. As a matter of fact, according to a research by the National Highway Traffic and Safety Administration (NHTSA), about 1.7 million Americans reported being involved in injury-related car accidents in 2015. A related study in 2013 also found that car crashes resulted in more than 2.4 million hospital visits. This number includes over 33,800 vehicle accident fatalities— which is the second leading cause of accidental death in the country. It goes to say, car crashes happen every day. The good news in all of this is that most of these car accidents are not fatal. Nevertheless, any type of car accident can cause serious damage to your car and in some extreme cases, can cause life-altering injuries. When an accident occurs, contacting an experienced Californian car accident lawyer is the best course of action. 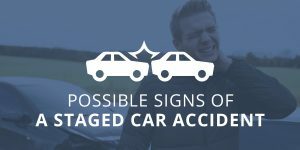 So, what are the most common types of car accidents to look out for and what should one do after being involved in one? 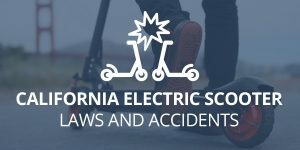 The following sections will walk you through everything you need to know about car accidents in California and why Megeredchian Law is the firm to trust your case with. What are the common types of car accidents? What are common causes of car accidents in California? What happens after a car accident in California? Whether or not an accident has a fatal outcome depends on the type of car accident that occurred. But regardless of the type of accident, one thing is for sure – there will be some form of damage to the car. Rear-End Collisions: As the name implies, this kind of accident occurs when Driver A rams into Driver B from behind. This usually occurs when Driver A is following too closely behind Driver B. The best way to avoid this kind of accident is to keep a safe distance between you and other cars. T-Bone or Cross-Traffic Accidents: This kind of accident usually occurs at an intersection and is mostly caused by a driver who has ignored a red light (or any stop sign) or taking a right or left turn without properly yielding oncoming traffic. The best way to avoid this kind of accident is to pay extra attention around intersections. Clipping Other Cars When Changing Lanes: This is another type of car accident that you must be quite familiar with. This usually occurs when a driver decides to switch lanes without properly checking all blind spots. To avoid these kinds of accidents, always make sure you are absolutely clear before changing lanes. Low-Speed Accidents: These types of accidents often occur in residential areas, parking lots etc. A low-speed accident, in most instances, happens while a driver is either trying to park a car or backing up to go out. Of all the accident types, this is the one that is most likely going to injure a pedestrian. The best way to prevent this from happening is to always take extra precaution when reversing a vehicle. Notwithstanding, no matter how safe one is behind the wheels, there are some factors that will just be out of one’s hands. Note: We are not saying this list is all there is to car accidents in California. However, from our experience in handling – and winning – several related cases; we believe the accident types listed above are the most common. Below, we will discuss the common causes of car accidents in California. There are several causes of car accidents in California. The most important thing after an accident is to determine who was at fault. Whenever a driver is found guilty of committing any of the actions listed below, they are most likely going to be held liable. Driving under the Influence: This could be under the influence of drugs or alcohol, and it is one of the leading causes of fatalities in the state. According to the National Highway Traffic Safety Administration (NHTSA), there were about 10,265 reported fatalities in the year 2015 as a direct result of DUI accidents. Distracted driving: While using a handheld Smartphone while driving is banned in California, distracted driving still causes its fair share of accidents across the state. Often, distracted driving is associated with calling or texting, but other causes include eating or drinking, reading the GPS, or adjusting the radio. Speeding: Finally, speeding is a major cause of car accidents across the United States. It is classified as driver negligence and accidents resulting from speeding are usually very destructive and can either be fatal or cause disability. Once again, this list is not exhaustive and there could be other causes of accidents, for example, a faulty car part. Whatever the cause, it is imperative an experienced lawyer investigate your accident. This will allow you to pursue the most beneficial settlement possible from all responsible parties. Car accidents can cause varying degrees of injuries ranging from minor injuries to more life-threatening ones. As a matter of fact, low impact and low-speed car accidents can cause surprisingly serious injuries. While on the flipside, serious car crashes might result in little to no physical injuries. Identifying injuries can sometimes be difficult immediately after an accident. In certain cases, it can take days before symptoms of an injury become apparent. So, we always advise our potential clients to contact a doctor immediately after an accident, even when there are no obvious signs of injury. In fact, Megeredchian Law has one of the largest networks of doctors in California. We can connect you with the best medical professionals for diagnosis and treatment of your injuries. Some common car accident related injuries include bruising, lacerations, broken bones, whiplash, and sprains (neck, ankles, wrists etc). We must reiterate that it is very important to get medical attention after a car crash even if you feel fine. The documentation is important to prove medical attention was required should your claim go to trial. What Happens After A California Car Accident? If you have ever been in an accident, then you know the scene is usually that of confusion, anger or fright. Depending on the personalities of those involved, it could be a combination of all three. Nevertheless, what you do after an accident occurs can literally make or break your case. It is important to remember the facts of the incident after the crash. These facts, coupled with witness testimony will go a long way in helping us develop a strong case with a good shot at earning an excellent settlement for you. The following sections will discuss what you should DO and what you should NOT do after a car accident in California. Usually, car accidents aren’t planned for, hence the term accident. Mistakes are often made in the wake of an unplanned incident that can ultimately jeopardize your case. We will discuss some of these mistakes in the next section, but this section is focused on what to do after an accident that will help protect your legal rights and increase your chances of recovering very good compensation. This is very important and can be integral to the success of claiming compensation. Evidence that can prove useful to your case includes names, addresses, driver’s license numbers, and insurance information for all parties involved in the accident. Also, make sure that you snap photos of the accident scene. You should always seek medical attention after an accident. Many people underestimate the severity of their injuries and this is usually caused by the adrenaline rush of the accident. It is important you see a doctor. It is also important that you get documentation for your treatment. if you don’t require immediate medical attention, then calling the police to the scene of the accident is very important. You will need the police report later on when gathering the evidence needed for your claim. This should be the obvious next step once you follow the previous tips. Getting an experienced lawyer on board will increase your chances of earning a good settlement because all the “T”s will be crossed and all the “I”s will be dotted. A lawyer will also be able to help you gather enough evidence to make your case strong. Just as we have listed things you must do after an accident to ensure you get compensation for your loss and damages, there are also some things you should not do. Taking these actions would be the equivalent of shooting yourself in the foot, yet we come across people who make these mistakes every time they are involved in a car crash. Never admit liability to the police because anything you say can AND will be used against you. Claiming liability can affect your chances of making a claim. Never speak to the at-fault driver’s insurance company alone under any circumstances. Your lawyer (hopefully an attorney from Megeredchian Law) must always be present at any meeting to avoid having your claim shorted. Never accept an offer to settle the first time it is presented. This is because chances are high that it is a low-ball offer. Insurance companies are looking for ways to pay out the least amount possible, so they don’t have your best interest at heart. You should never accept medical advice from the at-fault driver’s insurance company. Always seek medical treatment and advice from your own doctor for an accurate evaluation that won’t be downplayed. You should also never give a recorded statement to the other driver’s insurance company. And neither should you give the auto insurer access to your private medical history. Let your lawyer be the middleman between you and them. One of the main reasons why you need an experienced car accident lawyer is because they are the only ones who really have your best interest at heart. An experienced lawyer will help you gather evidence, prepare your case to file a recovery claim, discuss and negotiate with insurance companies etc. Having a trustworthy lawyer by your side is very important and cannot be overlooked. One of the most important things a lawyer can do for you is to help you determine whether you are eligible for compensation or not. The accident was caused by someone else, usually as a result of negligence. 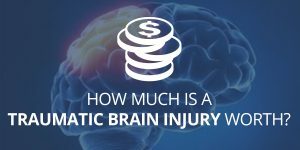 The accident caused you and your family (or dependants) to suffer physical, physiological and emotional pain that probably resulted in financial loss. Only a lawyer can help you determine all the intricacies associated with handling a car accident case in California. So, having a great one on your side can make all the difference for your settlement. The duration of a car accident case depends on a lot of factors such as the circumstances leading to the accident, the evidence available and whether or not the at-fault party is claiming liability or not. But in most instances, a case can either be settled very quickly or follow a very long and slow process. This is why having an experienced car accident lawyer on your side is a great idea. Factual or legal issues relating directly to the case, and might impact the outcome of the case. The case involves a very large amount of money in the settlement, which often makes insurance companies cringe. These factors need to be thoroughly accessed to ensure that anything that might impact the case negatively has been addressed in time. Securing the services of a confident car accident attorney will make sure everything goes smoothly. Whether the injuries you suffered were serious or not, a good car accident lawyer will be able to get you compensated for both economic and non-economic damages. The facts surrounding the accident; including at what speed the accident occurred, were there any laws broken and if the police had any records. How obvious liability is or otherwise. When it is apparent that the at-fault driver is at fault, determining compensation is usually straightforward. The extent of the injury sustained and the damage done to the vehicle. You will need your medical reports to show the extent of any injury sustained. Finally, all the expenses that have been going towards treatment, vehicle repairs and lost income will be taken into consideration. All these factors are what will impact the overall value of your case. The good part of your settlement offer is that you can always negotiate a higher amount, but sometimes this might take longer to resolve. Contact us for a more accurate evaluation of your case. In California, the statute of limitation on filing a personal injury claim following a car accident is two (2) years, after which the claim will be barred from being brought to court ever again. The statute of limitation, however, for property damage that resulted from a car accident is three (3) years from the day the accident occurred. Finally, the statute of limitation on a car accident involving you and a government entity (state, local or federal) is six months from the date of the accident. If the entity denies the claim, you have another six months from that date to file a personal injury lawsuit claim against the responsible government entity. Interested in legal guidance for your car accident claim? We encourage you to speak directly with one of our attorneys today! Contact us or call us now at (888) 243-2050. You may also submit an online contact form and we will get back to you within the hour. Should I let my own insurance company cover the medical bills related to my car accident? Yes, your health insurance can cover your medical bills. Your attorney will know how to make sure both you and your insurance provider receive a reimbursement after the settlement. Should I continue to drive my car after an accident? Even if your car seems perfectly fine or the damages seem minor, we recommend having your car inspected by an auto mechanic before you continue driving. There could be problems that may not initially be visible to you that may place you at risk for another accident or injury. What happens if my car is totaled in the accident? Damage to your car is factored into your settlement. If your car is totaled, it will be valued at fair market value. In other words, the car will be worth what an identical car would sell for on the market today (not what you bought the car for). If you’re interested in obtaining an estimate for what that value might be, you can use a site likecars.com to search for similar cars in your area. Your personal injury attorney will help you determine the true value of your car and factor it into the full value of your case. There are several factors to consider when deciding on an attorney to hire. First and foremost, you want to find an attorney that specializes in personal injury. Attorneys that don’t specialize in personal injury may not be as well-versed in the laws and might not be able to recover as much on your behalf. Once you’ve narrowed in on a few personal injury attorneys, you should consider their reviews, whether or not they have a history of obtaining results, and whether or not you feel comfortable working with them. At Megeredchian Law, we place results above all else. Our attorneys will work tirelessly to earn you the compensation you deserve and our case results prove that. You will have access to your attorney whenever you call and you’ll never be left in the dark wondering what is happening with your case. What if the at fault party has no insurance coverage? All motorists are required to carry insurance by law. However, not everyone follows the law. A study conducted by the Insurance Research Council found that close to 15% of all California drivers are currently uninsured. Furthermore, it’s estimated that roughly 50% of all car accidents in California involve an uninsured or underinsured driver. If you’re involved in an accident with a driver who has no insurance coverage, there are two avenues of recourse. One option would be to sue the uninsured at fault driver directly to go after their personal assets. While this is an option, it’s not always a viable option. Often, drivers who don’t have insurance also don’t have very many assets. The best course of action is usually to file a claim against your own insurance policy with uninsured or underinsured motorist coverage (UIM). All auto insurance policies are required to include uninsured or underinsured motorist coverage in California, unless the policy holder waives the coverage. Typically, UIM coverage cannot exceed the amount of your standard liability coverage. UIM is also helpful in situations where the at fault driver has insurance, but the coverage is too small to pay for all of your damages. In those scenarios, UIM will cover the difference. Will I have to go to court to receive a settlement for my car accident injuries? Whether or not your case goes to court will depend on how negotiations with the insurance company go. If the insurance company refuses to pay the full value of your claim, a lawsuit will be filed. Attorneys will sometimes try to reach a settlement amongst themselves before trial. If this is not possible, your case will go to trial. You can read more about the process for a personal injury claim here.